The Movie 「KIMINONAWA」(means「Your Name」in English.) describe the real scenery of Tokyo city. There are many fans who love to go sightseeing the locations used in the movie. This time we will introduce「Café Bus」Tour that makes you are able to visiting these locations efficiently. 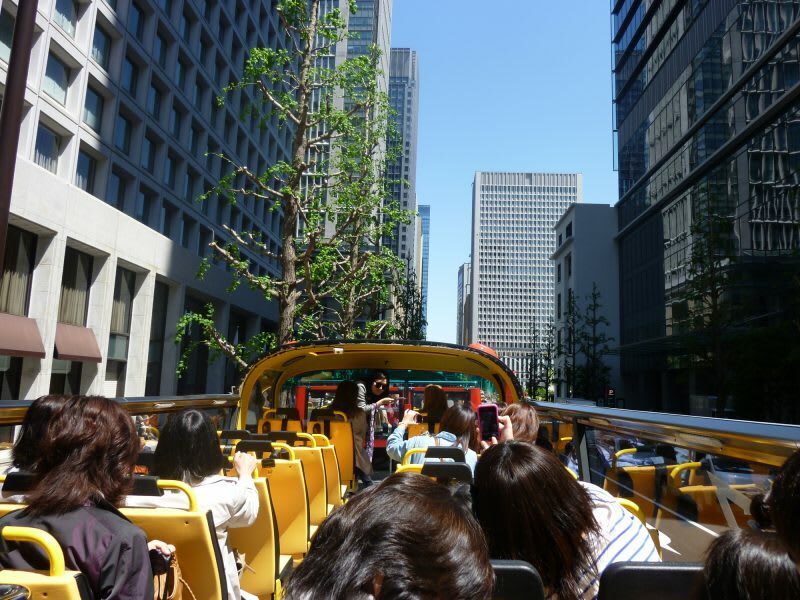 This is the Anime Bus Tour that fans can definitely enjoy, you can have KIMINONAWA’s Original Café menu while doing sightseeing the Tokyo city. KIMINONAWA’s Relaxing Café Bus Tour. 「KIMINONAWA Café Bus in Tokyo」includes some foods and drinks. It spends about 90 min to go around the city and the place that come out in the movie. The bus is a double-decker and has drawn designs of the main character of movie Taki and Mitsuha, and some good scenes in the movie on the appearance of the bus. There is a kitchen at the first floor and café upstairs. So the dishes are not cook-ahead but fresh off the kitchen. Actually, there are only 2 café buses exist and are working in Japan. The special menu is the large Pancake that Mitsuha had when she replaced Taki and went to café with his friends in the movie. These are made so elaborately. The drink set also has some trick. In addition, there is the Taki and Mitsuha’s photo panel, and you can get a present of coaster that the movie scenes are printed on. These are enjoyable during the tour. Introduction of the route for the Café Bus Tour. There is the scene that Mitsuha replaces Taki and walking on her way back home from school with his friends. The symmetrical western style house for a background at that scene is Seitoku-Kinen museum. It is the museum that has an exhibition of description for the whole life of Meiji Emperor who created the basis of present Japan. This museum can be seen from line of gingko trees, it is beautiful scene symbolize the Meiji-jingu area. There are lots of high buildings but also surrounded by the nature trees. So it is like The Oasis in the City. It is very popular tourist spot where you can feel the nature of Japanese four seasons. The Intersection and The Land Bridge in front of Shinanomachi station. We go sightseeing the most popular pilgrimage footbridge. This footbridge comes often out in the scene of movie that Taki calls Mitsuha but didn’t work, Mitsuha came Tokyo city and call to Taki, Taki grows up and talks to his senior Mr. Okudera in an evening sunset, the scene describes the each Taki and Mitsuha’s feeling when they miss with each other. In the sunset time on the tour, you could feel more reality about the world of movie. In addition, the main scenery of Tokyo city in the movie is come from this Sinanomachi station’s scenery. Shinjuku South Exit・Intersection of Yotsuya-yonchome・Yotsuya Station. There is the scene that grown Taki and Mitsuha happen to get eye contact each other when they are about to get on the train in opposite platform, they stop getting on the train and run to get together. The place where Taki is rushing is the intersection of around Yotsuya-yonchome and south exit of Sinjuku station. 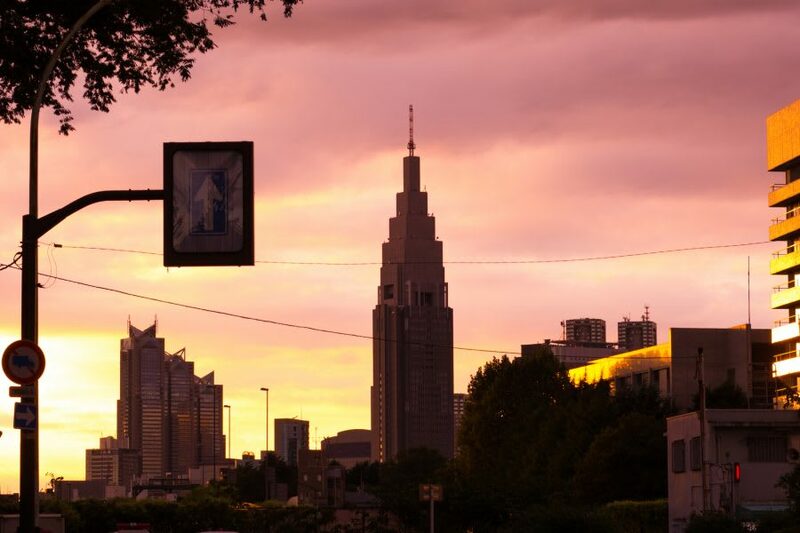 The scenery where Mitsuha came to great Tokyo and see is also around the south exit of Shinjuku station. You can see the chimney shaped building「DOCOMO TOWER」from the intersection of Yotsuya-yonchome that often comes out in the movie. And the meeting place of Taki and Okudera is in Yotsuya station. The red slope of stairs that Taki and Mitsuha finally meet again in the end of the movie can be get from Yotsuya station. You can get off before your stop if you request. Shinjuku Yunika Vision・Intersection under the footbridge of Shintoshin・Intersection behind the Shinjuku police office. In the scene describe the contrast of Hida city where Mitsuha lives with Tokyo city where Taki lives, Shinjuku area often comes out in the movie. In the opening of the movie, the Shintoshin footbridge comes out as a background on Taki’s way to school. And in impressive scene that the twilight deepened into night in the end of the movie, Tokyo city described as time-lapse is around Shinjuku Yunika vision area. In addition, the huge circle intersection described after Taki and Mitsuha found out that they are replaced each other is behind of the Shinjuku Police Office.